You can rely on Blooms Florist to hand-deliver fresh flowers and plants to all the major suburbs, hospitals, churches, funeral homes, and nursing homes in the Taree, NSW area. 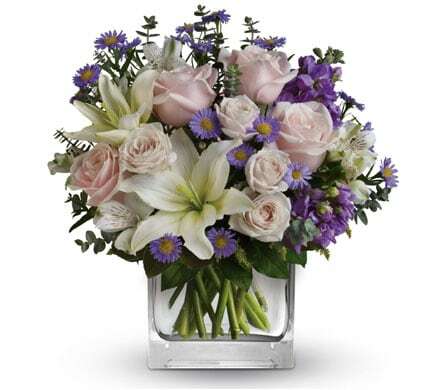 We can send your flowers same-day delivery and next-day delivery to Taree and surrounding areas. Select Designer's Choice for our freshest flowers, hand-arranged by Blooms Florist. Please let us know if you have a special request for any of delivery areas we service. Do You Need to Find a Nearby Taree, NSW Florist? At Blooms Florist, we deliver flowers across our home town of Taree and the surrounding area, with same-day delivery available. We deliver to private residences, business outlets, and public facilities like schools and churches, including Taree Presbyterian Church, Port Macquarie Baptist Church, and Grassroots Church. We can arrange flowers for services at cemeteries, such as Tuncurry Cemetery and Wingham Cemetery, or at funeral homes like Gloucester Funerals and Hutchinson Family Funerals. We also deliver to aged care facilities, such as Great Lakes Nursing Home and Bushland Place Retirement Village, and other medical facilities, including Bulahdelah Community Hospital, Dungog Hospital, and Port Macquarie Private Hospital. 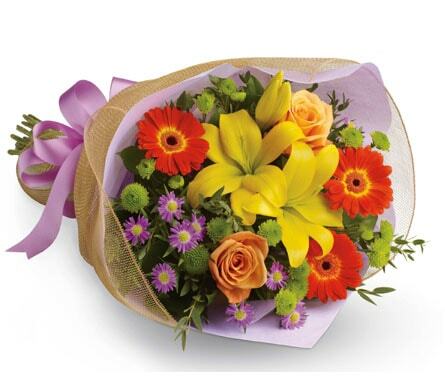 We�ll even arrange to send flowers internationally. Our talented florists offer a wide range of flowers in a variety of designs, with an abundance of eye-catching carnations, daisies, gerberas, and alstroemeria. We have arrangements for birthdays, appreciation, congratulations, and any other celebration you can think of. We have red roses for Valentine�s Day and anniversaries, and white roses often pair with white lilies in sympathy wreaths. Pink and peach roses are a favourite for Mother�s Day, and we also offer a variety of live plants, including potted orchids and dieffenbachia. We can send fruit baskets as a �get well� present, and gourmet food hampers, often with gifts. In fact, an extra gift can be added to any order you place with us, and you can choose from balloons, chocolate, or teddy bears. You can find us in Taree, a town in the Mid North Coast region. The Biripi people were the original custodians of the land, with the first European settler � William Wynter � arriving in the area in 1831. It was his son-in-law, Henry Flett, who first laid out Taree in 1854, and the North Coast railway line arrived in 1913. Today, Taree is the centre of a large agricultural region, and hosts the Taree Annual Show. Many of Taree�s buildings are historically significant, with the oldest being the St Paul�s Presbyterian Church, which was built in 1869. It also boasts the Big Oyster, the Manning Entertainment Centre, and the Manning Regional Gallery. The Bushland Drive Racecourse hosts the annual Taree Gold Cup, and the town is also the home of the Manning River Times newspaper. Located on the banks of the Manning River, Taree offers many aquatic activities, largely held by the Taree Aquatic Club, and is known for events like the Easter Powerboat Classic, and the Annual Pointscore Rowing Regatta, held by the NSW Rowing Association. The Manning River Summer Festival is held every January, with several events in Queen Elizabeth Park.